As cities become larger, buildings become bigger, and employing staff for your building requirements is neither efficient of cost-effective, especially when you consider the investment in training, specialist equipment, and cleaning chemicals. No longer do you have the worry of staff absenteeism or training, chemicals going missing or equipment breaking down, Swinton Business Services can provide you with everything you need, we can offer a one-stop solution on maintaining your building to its highest possible level. Our highly skilled staff will not just clean your building, they use the best bio-friendly chemicals and techniques to sanitize, and contain dust and allergens from contaminating your working environment. Swinton Building Services, have been offering whole building cleaning in Edmonton, for over 28 years to many satisfied clients in the process. 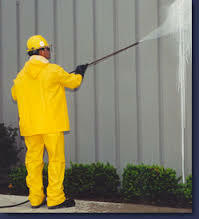 For more information on the best building cleaning in Edmonton to meet your needs, you can visit our website swintonbuildingservices.com, or contact our professionals who can be contacted 24 hours per day, 7 days a week and 365 days a year on 780 – 939 – 2799 and receive your free quote. For more, click here for a special video offer.